Over the last two decades the SLMA has gracefully grown into a leading national body that connects medical professionals across the island with a massive web and social media presence. Given below are the key events that transpired as a result of the pioneering efforts of those key members that have now formed a strong foundation for the Association to move forward into a new era. This was established in January 1997, with Prof. Shyam Fernando as the chairperson, Prof. Senaka Rajapaksa as convener and Prof. Vajira H. W. Dissanayake as Editor – Mediinfo. The SLMA website was designed and launch by Prof. Shyam Fernando, later it was expanded and maintained by Prof. Vajira H. W. Dissanayake until 2012. The website of the Sri Lanka Clinical Trails Registry was launched in 2006 when the SLCTR was established by the SLMA. 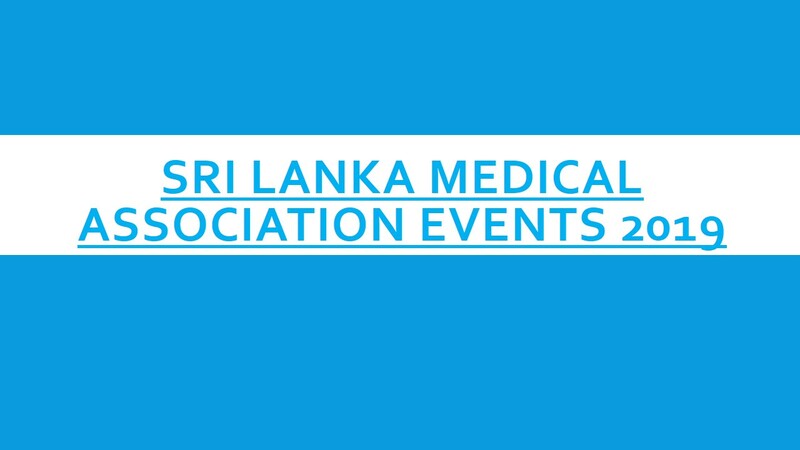 This site was redesigned and was the first mobile responsive website for a professional medical association in Sri Lanka, being viewable on mobile phone and desktop alike. By Prof Vajira Dissanayake, Dr Lasantha Malwige, Dr Rikaz Sheriff: This site (www.slma2012.com) was a dedicated site for SLMA events for 2012. By Prof Vajira Dissanayake, Dr Lasantha Malwige, Dr Rikaz Sheriff: This was the initial launch of the SLMA email list. The list was largely a combination of emails from all major medical associations in Sri Lanka. The abstract system allowed the collection of abstracts online and was the first major implementation of its kind receiving over 400 abstracts. The online library served the purpose of allowing members and health professionals to view national guidelines and articles. The SLMA launched its official Facebook, Twitter, YouTube & LinkedIn pages with the objectives of interacting with medical professionals and public. It also included a SMS service via Twitter. The SLMA became the first medical association to launch a health information service in partnership with Mobitel. The service allowed users to ask questions about basic health problems via telephone. By Dr BJC Perera, Dr Samanmali Sumanasena, Prof Vajira Dissanayake, Dr BJC Perera, Dr Rikaz Sheriff: This was the next evolution of the SLMA Email List from sending single emails to a bi-weekly digest. The bulletin was linked to analytical software and social media for objective and cohesive news dissemination. This was the first telecast of a live SLMA event. The 2nd version of the abstract system drastically improved the abstract submission and review process. Over 275 abstract were submitted for the Annual Congress in 2013 alone. Signing of agreement for pilot of an eLearning System in partnership with Dialog. The system would allow a virtual classroom for doctors online. All posters were accepted via email and displayed at the congress via digital TV. An interactive digital kiosk was launched in partnership with Sri Lanka Medical Library supported by GSK. It houses vital updates of the SLMA and library information located near the Sri Lanka Medical Library. The bulletin further evolved into a total email and subscriber solution hosted on Mailchimp. Renovated and refurbished SLMA office, front lobby, stair way up to the auditorium of the Wijerama House. The SLMA corporate video developed. Memorandum Of Understanding signed with the Chinese Medical Association. Successfully lobbied with the Ministry of Health to increase the annual allocation by five fold. History of Medicine Volume II – all contributions to Volume II have been received and editing in process. The book will be printed in January 2017. SLMA proposal to include Health as a fundamental right was included in the draft new constitution. Road Map To End AIDS in Sri Lanka Before 2030 – developed and published. No.06,Wijerama Mawatha, Colombo 07, Sri Lanka.